If you ask us, fall goes by in the blink of an eye with the number of holidays and general busy-ness that the time of year brings. September hits and it is suddenly Halloween and Thanksgiving, then the Christmas holidays! That’s why we’ve created our Fall Special—to offer you getaway before the season takes off and you find yourself in the new year. 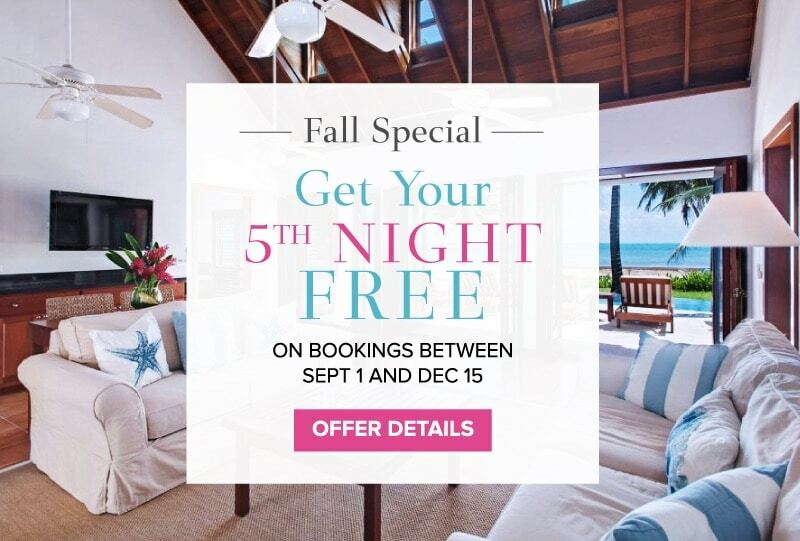 This special includes the 5th night free when you book between September 1st and December 15th so that you can sit back, relax, and have a few moments to yourself. Take advantage of this limited time off to get yourself a dose of sunshine that’ll carry you through the fall. Click here for full details and to book now!